Everyone knows about the Ring of Kerry and how beautiful it is. But there’s a lot more to this enchanting land. Apart from the welcome you get from the genuinely friendly and hospitable locals there’s the stunning beachscapes, if that’s a real word. 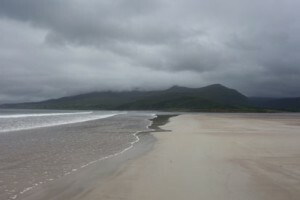 For my money the western Irish beaches are among the best in the world. When the sun shines the clear water reflects the azure sky. But when the cloud rolls in they take on a murderous, sinister brooding that just takes your breath away. I had just one week here with my wife, Gill, and I’ve got months worth of painting ahead of me as a result. 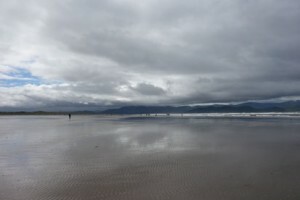 I’ve shown two images here, one is Brandon Bay and the other is Inch beach.